Here's some before-and-after for you. 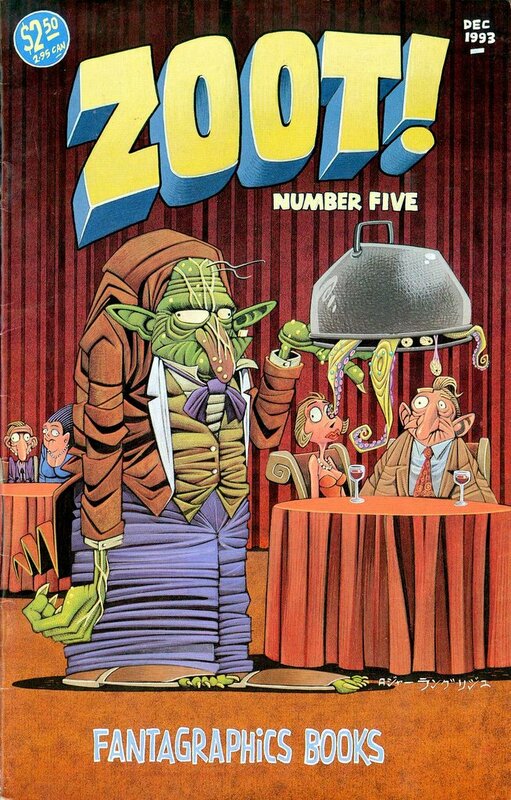 The first picture is the cover of Zoot! #5 from 1993. 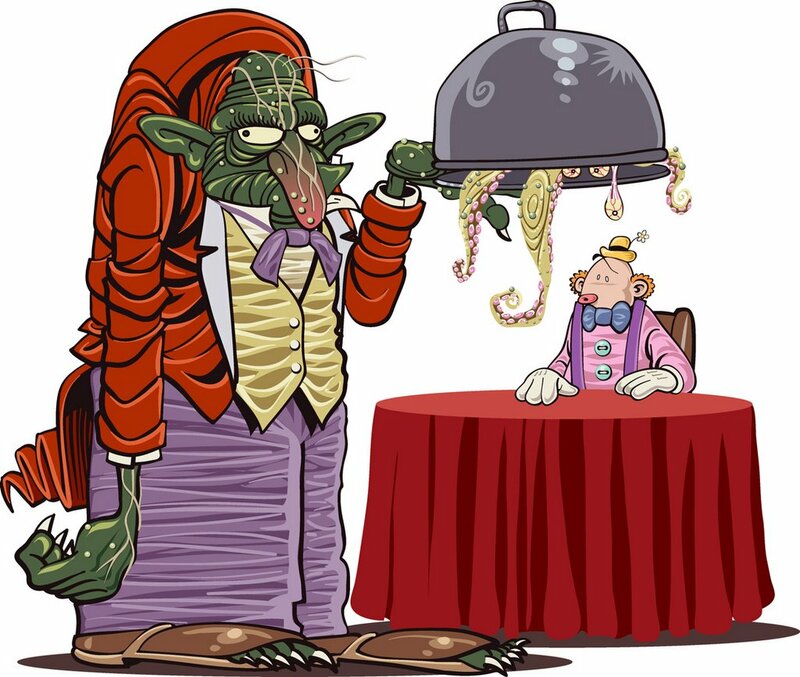 The second picture is a digitally redrawn version I did in 2003 for a Spanish anthology called Buen Provecho, who asked me to do a Fred the Clown-related cover featuring food and I couldn't think of anything better. You'll notice that the 2003 version is inferior in every way to the original. I love computers. I like your solution for the problem of clothing wrinkles (as in the pants on the waiter.) It reminds me of those Charles Crumb drawings where everything is sort of formed from wrinkle lines, but in a more angular style. Finally, Buen Provecho will be published in March. I disagree; the style is different but not better. It still looks like a cartoon drawing. Had you made him look totally real, my reaction may have differed.